Kareem's is only open on Saturdays and Sundays and they only seat by reservation only, so plan ahead to try the refined Syrian cooking from Chef Ahmad Yasin. 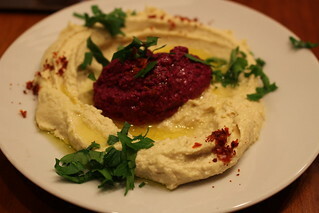 The menu offerings range from the Syrian national dish of kibbeh to Maqloubeh, a dish originating from the 9th century. 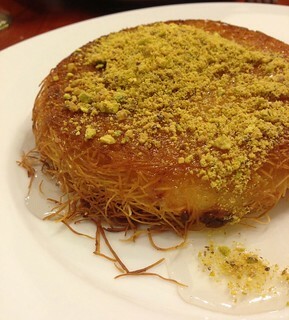 Make sure you save room for the kanafeh for dessert. 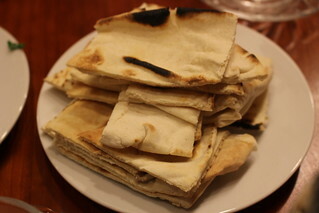 Yasin also offers Arabic cooking classes for those interested in delving more into the cuisine. You can read my full review of Kareem's here. When Wandering Chopsticks was visiting me in Boston, she heard about this Syrian restaurant that was only open on weekends that you need to have reservations to go to. The only time we could go was right after a full day of eating lobsters in Maine, so I wasn't really up for a full dinner but she really wanted to go, and I had just read about this Syrian dessert called kanafeh (or kanafa, kunafe, however you want to spell it) in a novel, The Golem and The Jinni. The restaurant is tiny, and located in a residential neighborhood in Watertown. 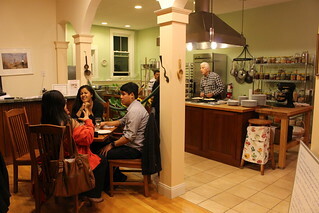 Other than the weekend-only dinners, it's only open for cooking classes.